How to get there The climb starts below Saint-André to the east up toward Modane in the Maurienne valley at 1030m or to the west down the valley at 945m. It is foolish to stop at the little pass up there as it only becomes really nice higher up, so go to the end of the asphalt! 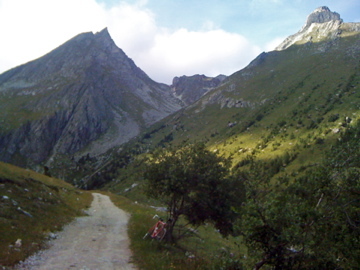 It is steepest just after the pass, while the last part is not steep at all. Other comments You have to continue through Saint-André if coming from the Modane direction (I got a bit confused over this). There is water half-way up to the pass close to a little hotel. Very quiet, good and nice road.